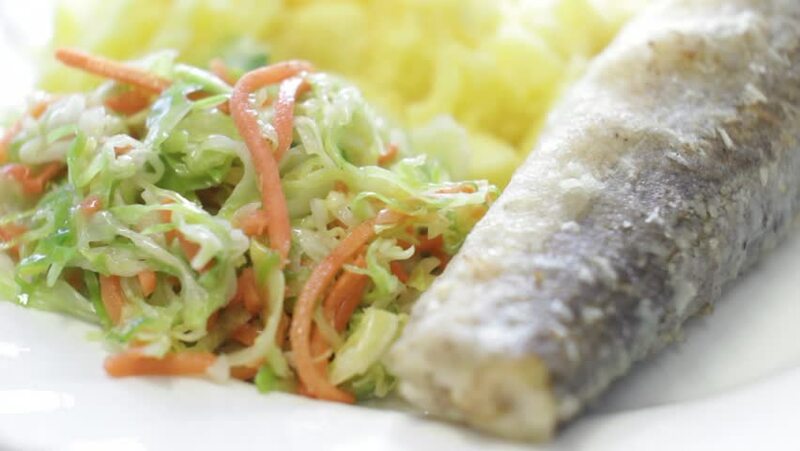 Dinner with mashed potatoes, fish and fresh cabbage salad. hd00:30360-degree rotating lunch box of steamed chicken. hd00:07Dory fish fillet on the grill with foam of white wine, green asparagus and saffron rice.